October is the month for Literature Festivals it seems, and this year we’re excited to have been invited to both the Birmingham Literature Festival and the Cheltenham Literature Festival. Including death and dying within these important cultural calendar events is music to our ears, especially when we’re asked to contribute! Please do take a look and take time to come along to the events if you can. With her BrumYODO hat on, Carrie and fellow BrumYODO member, Anna Lock, are on stage at the Rep in conversation with Dr Kathryn Mannix. Kathryn has written a book in which she uses intimate stories to illustrate her experiences of being alongside people who are dying. In her book she shares what she has seen and what she has learnt from them and their families. This book chimes well with us and the values of BrumYODO as it encourages open and honest conversations about death and dying. We’ve been thrilled to see it’s highly positive profile in national media, being shortlisted for the 2018 Welcome Book Prize and scoring an impressive 4.5 in online “Good Reads” reviews. 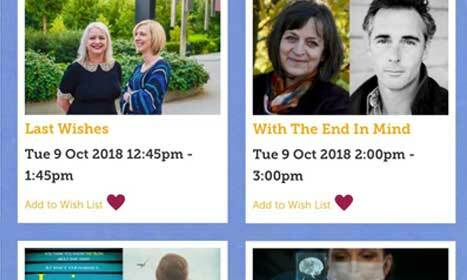 Invited back to Cheltenham Literature Festival for a second time, we’ll be running a Funeral Wishes workshop in the morning and hosting a Death Cafe in the evening. 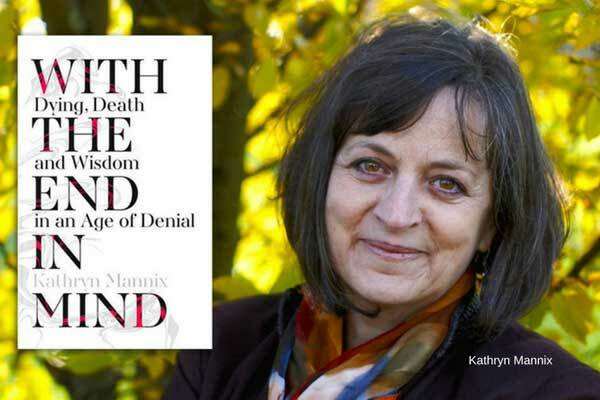 Part of a day that also includes Dr Kathryn Mannix and a bit of ‘Death Cleaning’, we’re really pleased that death is being covered as part of everyday normal conversations.